The Essay Writing Industry: How bad is it? 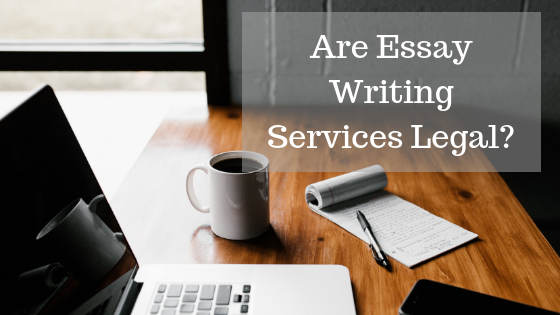 In recent months there has been lots of talk, both in Parliament and in the news about the legality of essay writing services. Understandably, this has caused a lot of confusion for students who have used these services previously, are currently using our service, or who plan to use such a service in the future. These articles are of course shedding a bad light on the industry and those who buy into it, but this light does not necessarily depict the whole picture. Do essay writing services highlight a flaw in recent and future generations of students, or in the University system itself? Let us break it down for you. Is Using an Essay Writing Service Illegal? Our services continue to exist due to one simple fact: students are seeking assistance with their University work because they do not have the resources or support for this inside of their academic institution. We completely get it, tutors are busy people, who alongside lecturing and marking, may not have the time to sit with each student and provide one-to-one guidance on how to complete a particular assignment or dissertation, or a specific topic covered in a lecture. This is the main reason why students come to use our services, and to clarify further, no, using our services is not illegal. Our services are here to help students improve their studies, by providing guidance on certain subjects or topic areas that they may not feel confident in. We also assist international students with their command of the English language – since studying ina language that is not your mother tongue can be a hard enough job in itself! Finally, our services exist because there is a demand for this extra help. Student’s want to learn and to understand the work that is set, but sometimes there are simply not enough resources or staff members for them to seek this help inside their University. Academic writing services are here to provide support to students – be it through the provision of model answers, proofreading or tutoring. Our services are not intended for submission, and as long as students use the work with this in mind, then they are well within the law, and are also not breaking any of their University rules. The ability to write well –particularly academically, is not something that anyone is simply born with. It is a skill that is developed over time, sometimes with assistance. That is what writing services are here for. To provide guidance, and to facilitate learning and development of writing skills.